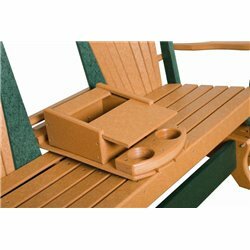 This glider features a drop down box with cupholders and a secret compartment to keep your things near you all the time! It's the perfect place to keep an extra pair of reading glasses, a cross word puzzle, or a few toys for the kids. 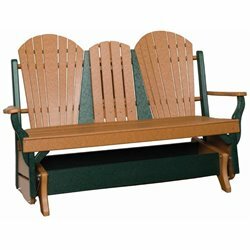 The classic beauty and amazing qualities of poly make it one of our top sellers! 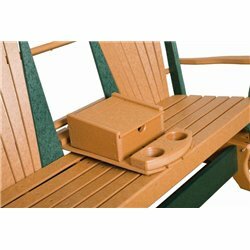 Poly material is a composite of recycled materials making it extremely durable and environmentally friendly. Elegant design makes this a striking outdoor piece. Made in the USA by Pennsylvania Amish, we have constructed this with durability and strength in mind. 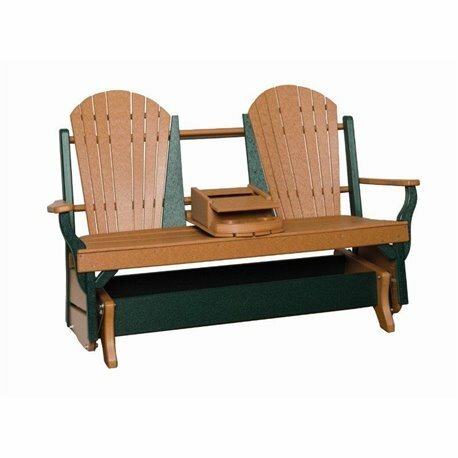 Classic design and cozy comfort characterize this item. It will be a family favorite all season long! 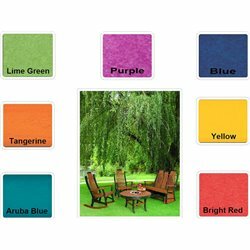 Please don't hesitate to contact us regarding questions about color combinations or anything you need. Thank you! Important Note: FREE SHIPPING! This item will ship via freight. Please see shipping information.